Showing posts for the eufloria tag. We're really pleased to announce that Eufloria HD is now officially out on Google Play for Android. 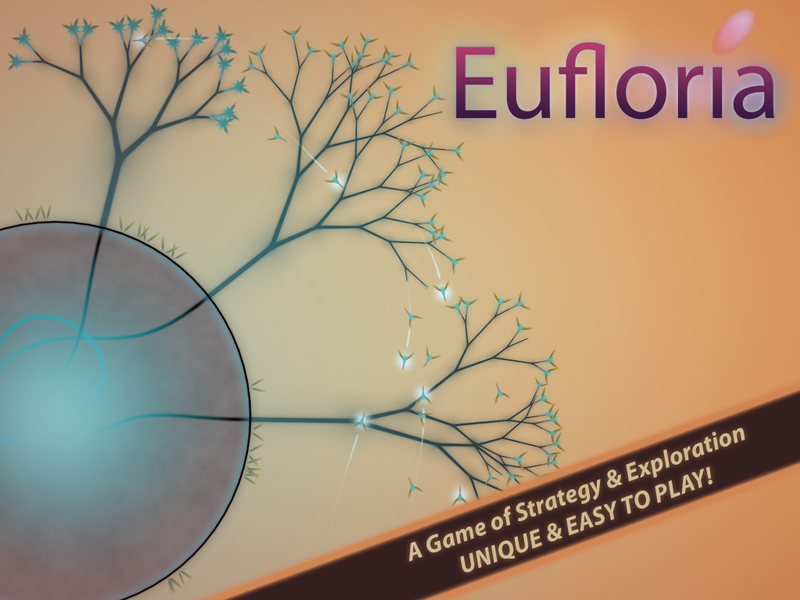 Even better, Android has received the first ever Eufloria HD Demo so you can try before you buy! This is not the end for Eufloria HD. We have more plans next year, as you can see on our FAQ. Android remains part of those plans! If you're new to Eufloria or have any questions, you should also pay a visit to our forum - Euflorium. As always, please leave a review of both the demo and the main app of you like the game. We're only a small indie team so we rely on your reviews. Are you a writer? Here's our latest press kit. Please ask about review copies by emailing contact@eufloria-game.com. 18th December 2012: Omni Systems Ltd announced today that indie smash hit Eufloria HD is now available for Android devices via the Google Play store. Co-developed with fellow indie developer Tuna, Eufloria HD is an atmospheric, beautiful and addictive real-time strategy game that was recently the runner-up in the official iPad Best Game of 2012 list, and has earned a five-out-of-five stars user review average from players. Eufloria HD for Android is the enhanced and evolved version of the 450,000-selling, BAFTA-nominated indie game Eufloria, with a 25-level Story Mode, a Relaxed Mode for a truly chilled-out experience and a stunning original soundtrack by Milieu. Android owners can also download a free demo version of Eufloria HD from Google Play available with five levels and a website link to purchase the full game. Eufloria HD is a gorgeous-looking, easy-to-control and elegant strategy title that anyone can play - and the perfect game to show off the gorgeous new Google Nexus phone and tablet devices. More additions and great new features on the way in 2013! 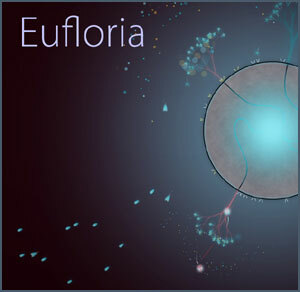 Eufloria HD is now available for Android devices via the Google Playstore for $4.99/€3.99/£2.99. Eufloria HD is already released on the App Store. Eufloria HD is also available on BlackBerry PlayBook. 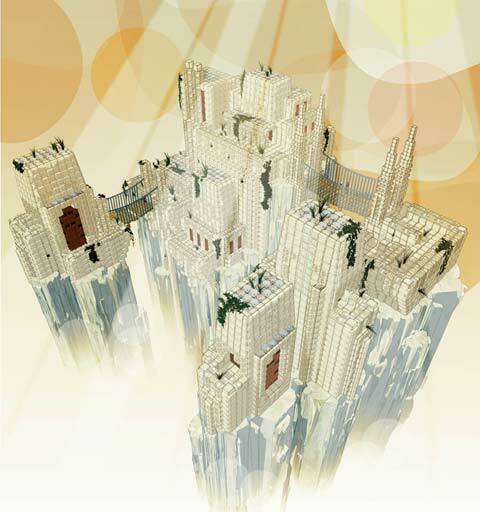 Eufloria is published by Omni Systems Limited, Rudolf Kremer’s indie media production company. Omni has been set up as a new kind of independent games (and other media) company, offering an alternative to corporate restraints and rewarding developers in a way that traditional game development often does not allow. Additionally Omni produces and develops other media including screenplays, comics, PS3 Dynamic Themes and more, while also offering consultancy services ranging from interactive software development to consultancy on creating virtual spaces. Current projects of note are two new games: StarLit and Neopolis, a series of Sci-Fi dynamic themes for PlayStation 3 and a comic called Spire. Tuna is an international award-nominated boutique indie game production company who specialise in developing projects for mobile, traditional gaming and on-line platforms. With many years experience in the field, Tuna have worked with a range of partners including marketing and advertising agencies, independent game developers, universities, and solo artists. Services include digital consultancy, concept development, production management, software development and establishing software development partnerships. Brands Tuna has worked with include Family Guy, Big Brother, Cadbury, Asteroids, Boulder Dash, and indie hits Alien Hominid and Eufloria on platforms as wide ranging as iPhone, iPad, Android, Facebook, Nintendo DS, Nintendo Wii, Microsoft Xbox 360 and Sony PS3. 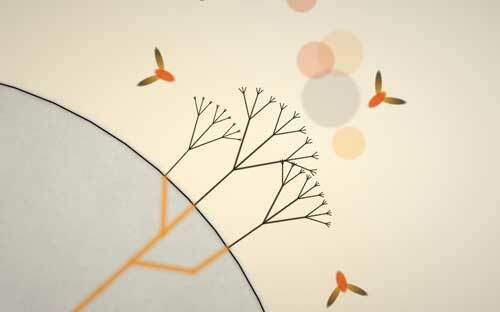 Eufloria HD is Apple Game of the Year – Runner up! This was a surprise. A VERY WELCOME one, but a surprise nonetheless. Apple have just announced their Best of 2012. 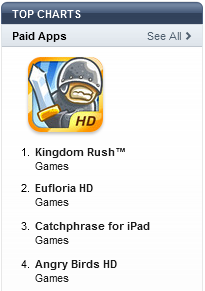 To our great surprise and eternal thanks, Eufloria HD is their iPad Game of 2012 Runner Up / Hidden Gem. Look! We have also signed a new deal with Sony! We are developing a completely new game set in the Eufloria universe, called "Eufloria Adventures". I talk more about this in this Gamasutra piece. Have a Peek. Eufloria PSN has been nominated for best debut game by BAFTA! We did not win but it was a pretty big deal and a swanky affair. If you want to poke fun at me have a look at my ramblings in this BAFTA QA or even better, check out this video. This news report is getting rather full, but I can also share that I did a GDC Europe talk about indie level design, and I can announce that I am a speaker at the London Screenwriter's Festival 2012, on the illustrious Games Panel. Players give Eufloria HD overwhelming thumbs up! I have been making games for quite a while, either in traditional game development, or as a modder, or as an indie. I made my first game in 1985 approximately, and joined the UK industry about 12 years ago. In that time I worked on all kinds of titles, some pretty famous and well received. Nonetheless after in all that time I have never seen the positive player response we are getting for Eufloria HD for iPad. It is truly truly wonderful. (USA) ***** - Perfect - I played this game on the PC since it came out in 2009. Beautiful, fun, easy, and addictive. This is a wonderful port of an under appreciated PC classic. Buy it and I guarantee you'll love it. (USA) ***** - Good game. - What are you guy slacking on. Hurry up and get all of your companies games on the iPad. You guys could be making loads of cash right now. If you guys put up your other games I'd buy them all. (FRA) ***** - Belle adaptation sur tablette - Très bon portage sur iOS, fluide (testé sur iPad V2), je retrouve Eufloria avec plaisir. La bande-son et les graphismes sont la source d'une excellente atmosphère. Bonne progression de la difficulté, contrôles tactiles très commodes, plus agréables d'ailleurs que ceux de l'original à la souris. Maintenant, ce jeu ne plaira pas à tout le monde, c'est un mélange d'exploration, de conquête et de stratégie en temps réel à base... de graines. Aaâahh oui, c'est réellement un ovni et soit vous adorerez, soit vous décrocherez illico. (GER) ***** - Auf so vielen Ebenen wundervoll! - Ein wirkliches Meisterwerk in Sachen Design, Gameplay und Interface. Erfrischend leichtes Design mit minimalistischer & zugleich atemberaubender Grafik und einer leicht zugänglichen intuitiven Touchsteuerung, die sich perfekt ins Spiel integriert. Den Schwierigkeitsgrad kann man individuell auf herausfordernd oder entspannt und zudem die Spielgeschwindigkeit einstellen.Ein rundum großartiges Spiel wohltuend abseits der Mainstream-/ Casualtitel. iOS-Strategen greifen allemal zu, zumal sie auf der wohl optimalen Plattform kolonisieren dürfen, alle anderen sollten zumindest mal auf der Entwicklerseite einen Blick drauf werfen! (UK ) ***** - The business! - Beautifully presented, works perfectly with iPad interface, absorbing, addictive, one of the most innovative and well produced apps I've bought. Highly recommended and deserves to be a huge seller! (UK ) ***** - Eufloria Rocks - This game is different and addictive! (UK ) ***** - Truly wonderful - Firstly, I've not played other versions of this game (PS3 etc), but this is like it was designed forward touch screens, playing it on the iPad is so natural. The developers have done a fabulous job of porting this.I love the graphical style too, very unique. As is the gameplay. In fact, the game could do with a clock in the corner of the screen as I quite I spent too long playing (joking about the clock, not about time flies though).In all, a remarkable experience, thank you. (BEL) ***** - Eufloria - Excellent jeu qui va beaucoup mieux à l'ipad qu'à la playstation sur laquelle il était d'abord sorti.C'est pour moi un des meilleurs jeux sur iPad si pas le meilleur! (ITA) ***** - FANTASTICO - Mi piace tantissimo. La grafica e sublime, il tema molto originale. Ipad si merita proprio un gioco cosi!!!! (CHI) ***** - 这游戏挺好，给你们装逼够用了 - 有位仁兄说这游戏用来吸引别人的目光，我擦啊，你们丫真对得起装逼二字啊!!! (MAL) ***** - Great concept - Simple and well executed. (POL) ***** - Wspaniała gra ! - Na początku moze wydawać się dziwna, ale naprawdę ciekawa. Kolorowa, wspaniała muzyka ! For now we have our crazy RTS, Space Exploration, Ambient, Art, Conquest, Puzzle, or whatever else type of game you want to call it, up there lighting a candle for other indie devs as well. It shows that with hard work and a bit of luck your title can get noticed. Now we have to see if we can keep momentum, and see if we can break into the the USA top ten. So, if you haven't played the game yet, why not give it a go now? The user reviews above tell a convincing tale. :-) Get it it from the AppStore, and please rate the game! 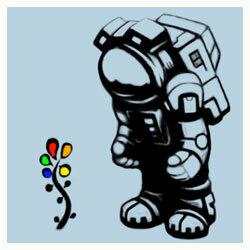 Eufloria PSN Launched! Sense of Wonder Night Success! We are certainly darn proud of the game, especially if you take into account it was created by a core team of only two people. This is an indie dream come true for us, and hopefully we will keep doing originall creative games for a long time to come. The players luckily also seem to love it, based on some of the Twitter comments and emails we receive, and that is what really matters in the end. The game's official site is still a good place for news, but keep an eye on our twitter feed as well: @RudolfKremers or @psychicteeth. Journalists should check out our PRESS KIT. Eufloria at E3, Omni's first theme launched, a classical animated logo. Eufloria PSN is now being shown at E3! Amazingly Sony gave us a booth at their E3 stand, and we jumped to the opportunity to promote the game. Things are extremely hectic, as we speak Alex and Mike are trying to get the final tweaks in for our submission to Sony, while we are actually leaving by plane tomorrow. The game has come together really well though I think, so hopefully it will be received well at E3. Wish us luck! and follow our updates on Twitter: @RudolfKremers or @psychicteeth. StarLit announced, Eufloria ports and progress. StarLit work progresses well, and Rudolf has just finished a spec screenplay withing the StarLit universe. A comic is planned as well and hopefully the transmedia approacch to this project will turn it inmto something extra special. In the meantime an iPhone and iPad version of Eufloria has been announced. Have a look over at the Eufloria dedicated website for the press release and reactions. Eufloria released to positive reception! 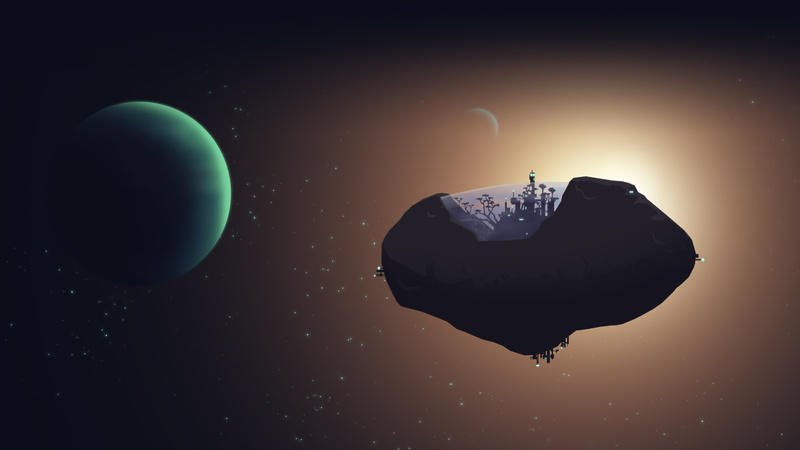 After developing our Dyson project into a fully featured, content rich game we have renamed it to Eufloria. The game has now seen a release in several locations, including on Steam and it is selling well and is garnering good responses from players and press alike. Check out the Eufloria website for any further news. You can buy the game here, or download the demo first. A trailer can be watched here. Within a few days Alex and myself will be on our way to San Francisco on our way to what I can only describe as a Dream come true event. One moment we are entering a purely quality motivated small and fun competition, and a few months later we suddenly find ourselves up for several awards, including best game, at the prestigious Independent Games Festival. WHAT HAPPENED!!!?? So a big thank you and virtual bear-hugs to all of you who have downloaded the game and those of you who are telling us what you think of it. Our forum deserves a special mention as it is such a fun and positive place. All we can do on our part is to try to make the game as good as we can, which something we are working very hard on. First the festival though, and will make sure there will be photos and footage of the event for readers of the blog to peruse. If you are visiting yourself please come by our booth and say hi! We will also for the first time finally meet our audio and music genius Brian Grainger (Milieu) in person. Such are the strange ways of web-based game development. Second: Alex and I are enjoying working together so much that we decided to do another game together after Dyson. What this game will be is not going to be known for a while (even to us) but between us we have a wealth of ideas and concepts to choose from, all sound like good fun to us. Right, have to pack my toothbrush now and prepare my laptop for Dyson demonstrations to press and other interested parties. We may or not be able to blog a bit while we are over there, keep an eye out on the major news sites anyways in regards to the general coverage of all the great games out there, but have a peek here once in a while you never know J. 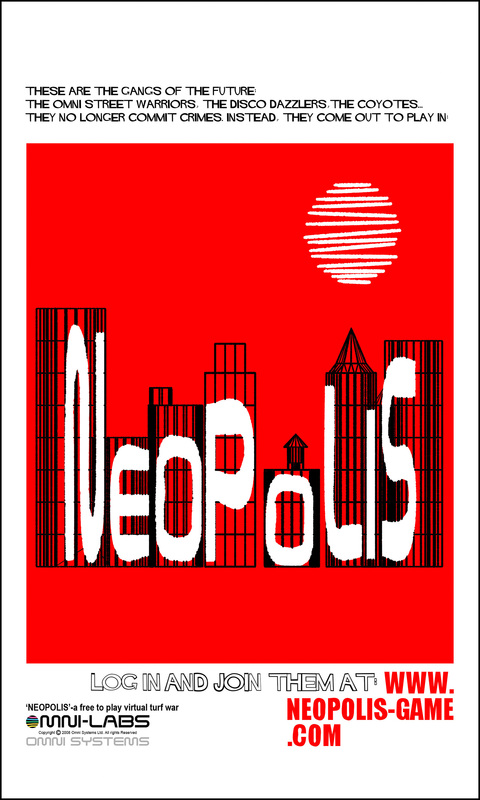 Work on Neopolis continues nicely. 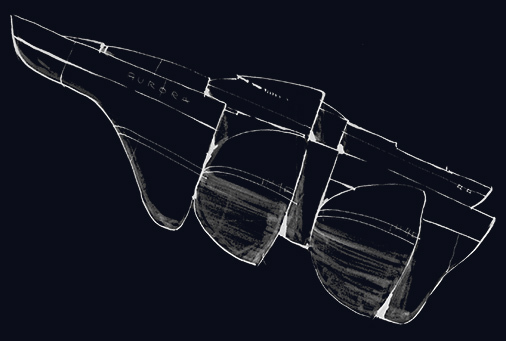 Martin is creating a great artstyle, Oscar's engine is shaping up nicely, and I am confident the design is up to it. :-) To make things nice however we have decided to lift the veil a tiny bit and are releasing some posters for the game. (As opposed to telling you in words what the game is about.) Have a look and see what the posters tell you. Additionally, the posters can be downloaded in a massive size so if you are so inclined you can turn the art into a proper print! Additionally people are commenting on the game left right and centre.